If you are planning a wedding ceremony on Maui, its important to remember that indoors or out, it will almost always require some audiovisual equipment. Whether your planning for a DJ, live performers or just want your guests to be able to hear your vows, a quality sound system is a must. We can provide an audio system to meet your needs and budget- from small public address systems to sound systems suitable for groups from 10-2000+. 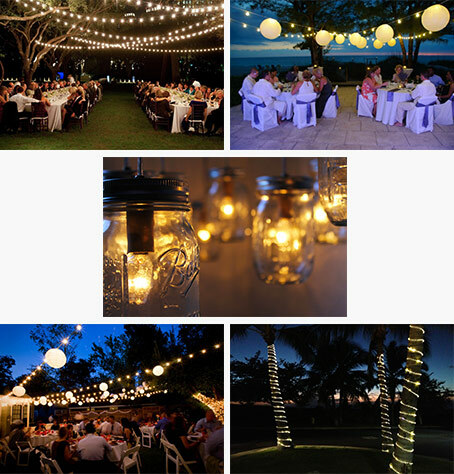 Besides functional lighting, creative lighting can help set the mood, display your wedding colors or accent certain decorations to give your ceremony and reception a unique and creative feel. Consider lighting your wedding cake – or even better – have your cake video mapped and project the image of your choice onto it, perfectly matching it’s contours! Planning on an ice sculpture? How about subtle color changing lights to make it come alive? And don’t forget disco lighting for the dance floor! We offer special video decor options that will make your wedding unique. 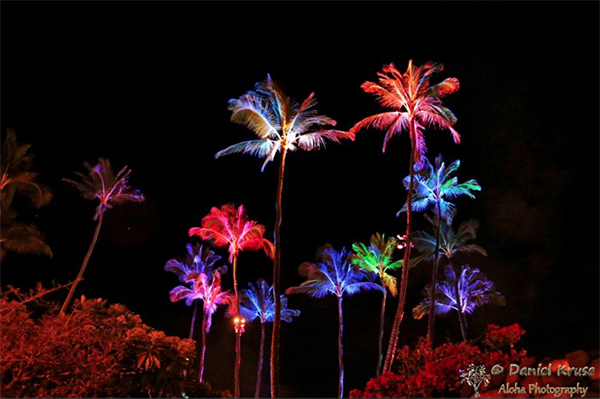 Rather than static lights on your tent, we can project blooming flowers in a light breeze or gentle blue water ripples? The options are endless. Tell us your creative ideas and we can work together make them come alive! We also offer projector and screen combo packages. We think your wedding is as special and unique as you do, so we want to plan it just for you. 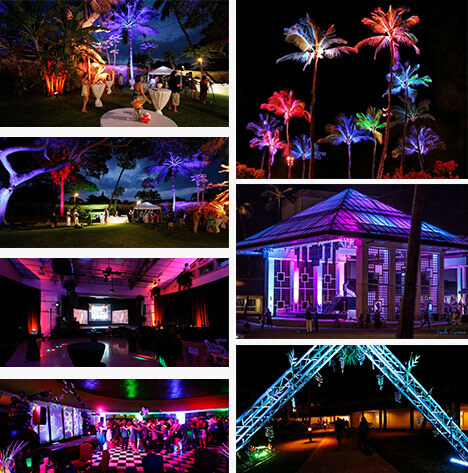 Each venue has specific lighting requirements, which we will have considered for you ahead of time. 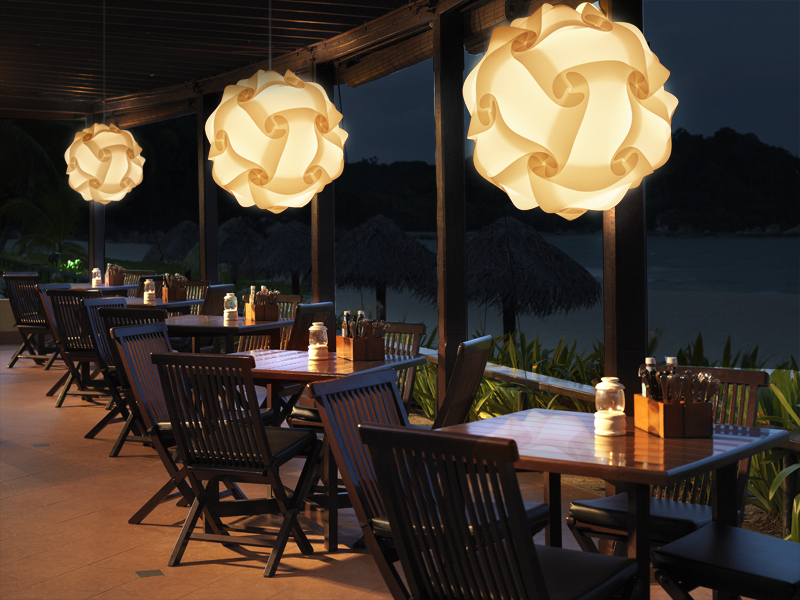 All of our lighting, sound, and projection items can be mixed and matched a-la-carte style. Call us directly or have your wedding coordinator contact us to discuss your options. 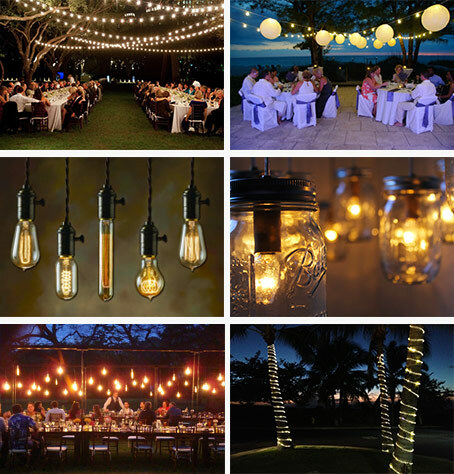 Beautiful and elegant strings of various bulbs, artfully suspended over your wedding or event, fully controllable by dimmer switch for when you need to change the mood. This is a basic yet complete lighting package. We can set to color(s) of choice or the lights can be DMX-ed (linked to our control console) so they can be expertly controlled through- out the night to fit your mood or change to the music! 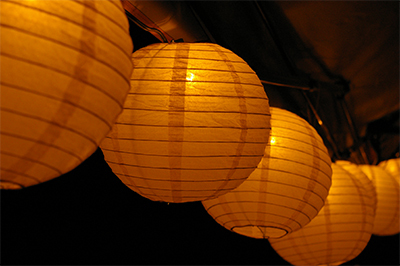 Make sure you have all your key areas beautifully lighted. Area Lighting for Bar, Food Area, Sign-in table, Entrances, Walkways, Stairs etc. 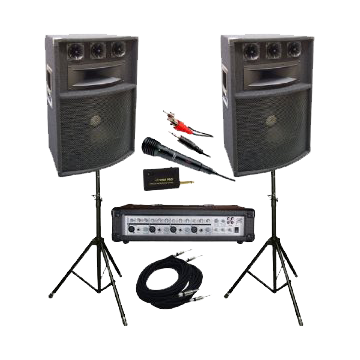 This package is a complete sound system for…. This is a full service Audio experience. Our DJ/MC will be in communication with the bride/client from beginning to completion to curate perfect sets using client portal software. She will help collaborate on the show flow, make announcements, play selected songs at key times, make introductions etc. She will then DJ the reception with the kind of finesse that only some- one with 15 years experience can do! This includes two audio locations – the wedding area and reception. Our crew will pre set up both or discreetly move the equipment between wedding segments. DJ Valerie is our preferred DJ for weddings and special events. DJ Toben is our preferred DJ for parties and corporate events.